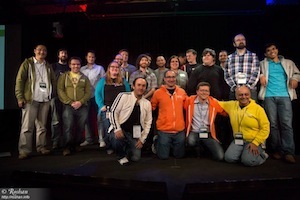 The Google Test Automation Conference (GTAC) was held last week in NYC on April 23rd & 24th. 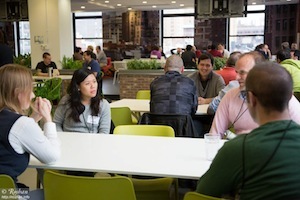 The theme for this year's conference was focused on Mobile and Media. We were fortunate to have a cross section of attendees and presenters from industry and academia. This year’s talks focused on trends we are seeing in industry combined with compelling talks on tools and infrastructure that can have a direct impact on our products. We believe we achieved a conference that was focused for engineers by engineers. GTAC 2013 demonstrated that there is a strong trend toward the emergence of test engineering as a computer science discipline across companies and academia alike. All of the slides, video recordings, and photos are now available on the GTAC site. Thank you to all the speakers and attendees who made this event spectacular. We are already looking forward to the next GTAC. If you have suggestions for next year’s location or theme, please comment on this post. 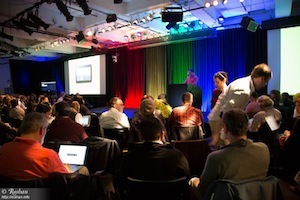 To receive GTAC updates, subscribe to the Google Testing Blog. WOW. It look great. I hope that I will be there in next year. Thanks. Guys I'm really interested to attend next year conference. Can you please let me know where is going to be? Exact dates and registration will be announced on this blog. Hi! How much aproximately is the conference's pricing? i'm writing the 2014 plan and i need a reference value :D tks! The conference itself is free, but registration is usually limited. Speakers and attendees (or their companies) pay for their travel and lodging expenses. Any update on GTAC 2014? We are really interested in attending and submitting a proposal. Hi, I'm also interested on GTAC 2014 so if you have some news about it, please share with us.